As we gather with our families to celebrate the July 4th holiday, it’s important to remember there’s still a lot of work to do to ensure all our communities are truly free; free from police violence, racial injustice, forced separation and anti-immigrant policies. At Californians for Justice, we know that institutionalized family separation is not new nor has it slowed down in its racist path of dividing and conquering. The United States has a long history of forced family separation. We have seen various iterations over the centuries, from the historical displacement and genocide of indigenous communities, to slavery and the selling of human beings as property. 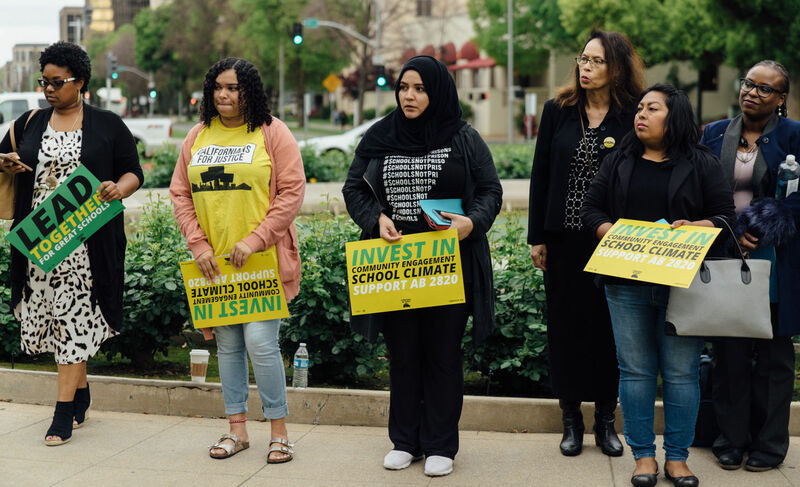 In its most recent forms, family separation has meant the targeting and killing of Black and Brown bodies by the police, and having incarceration and deportation pipelines woven within our public education system. In recent weeks, these attacks on communities and families across the United States have reached a new level of atrocity as Trump ordered government officials to rip into the very core of our communities and separate families from their children at the border. Black and Brown communities have also been hurt by the Supreme Court decision to uphold Trump’s anti-immigrant and racist Muslim ban. This ban denies families their freedom by prohibiting visa and asylum pleas based solely on their country of origin. We’ve also continued to see how such racist policies can lead to physical violence, as shown by the frequent murders of unarmed Black people. Last month, Antwon Rose Jr. was murdered by police, violently separated from his family and ripped from the community he knew and loved. His name is one of many that was added to the already long list of police murders across the country. These acts of violence against our Black, Brown, and immigrant communities are the result of divisive messaging pushed out by a wealthy few who wish to stay in control of our country. They generate fear based on race in order to hold on to their power and keep our communities divided. It is for this reason that we stand with families and communities across the United States in condemning these most recent attacks. These beliefs are also why we’re focusing our work on Racial Justice and Relationship Centered Schools. 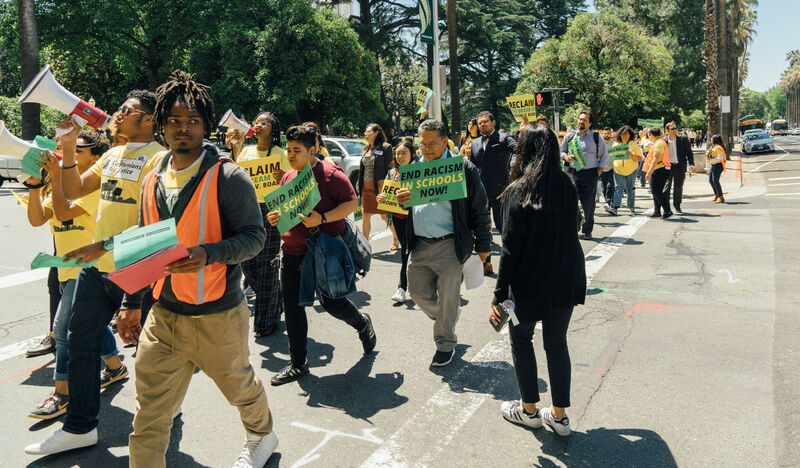 We’ve seen first hand how school policies are militarized through the policing of campuses, adding to the cycle of the school to prison pipeline where Black and Brown students are disproportionately targeted. These school policies are reflective of the larger pattern of violence that continues to feed the private, for-profit prison system through an unwillingness to acknowledge biased policing, leading to a disproportionate amount of terrorism in communities of color and outright disbelief in our youth. A core part of Racial Justice is keeping our families together, and for our families to live in dignity and have the means to take care, support and love each other freely, unbounded by everyday injustices. The only way to succeed is by calling out racism by name and working to build relationships in community. We need to show solidarity through allyship and advocacy because the immigrant community shouldn’t be alone in their struggle for freedom, Muslims cannot be alone in the protest of Trump’s racist travel ban and Black communities across the country shouldn’t be the only ones speaking out against police terrorism.